SCDI Chief Exec Ross Martin looks at what Scotland's industry and infrastructure needs and faces in the future. 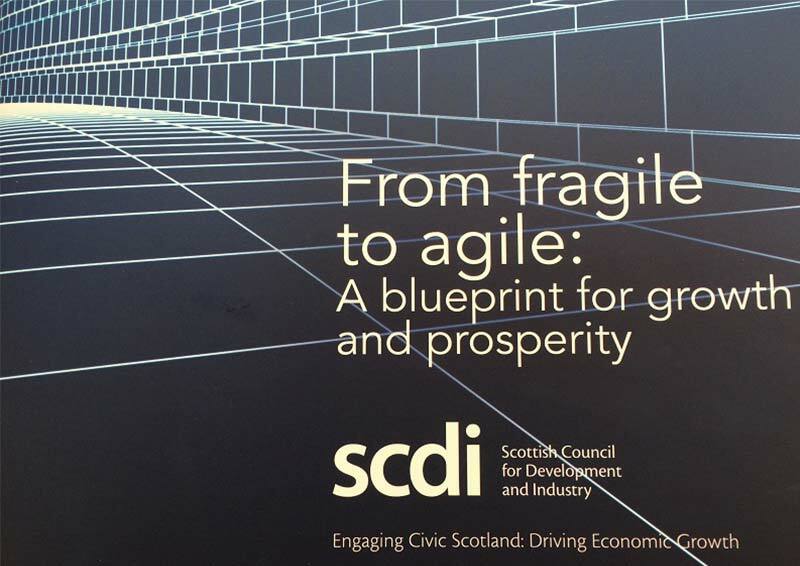 SCDI's blueprint for Growth & Prosperity From Fragile To Agile highlights three key economic challenges for Scotland's economy - increased innovation, productivity and internationalisation, underpinned by key infrastructure. Profound technological, economic and geopolitical disruptions are changing the world around us at an ever-accelerating pace, raising questions for all businesses and about how we do business. An emerging economy, in all its diversity, is approaching into view...more entrepreneurial and intraprenuerial, economically and socially agile and adaptable by necessity; highly competitive, but increasingly collaborative, requiring a more active regulatory relationship; personalised, but more sharing in consumption. Has Scotland got the focus, appetite for risk, and ambition to be at the forefront of these economic changes? Do our leaders, managers and workforces have the skills, opportunities, and mindset to become early adopters? In the wake of SCDI's Annual Forum, Ross Martin considers the challenges and opportunities which Scotland's 'Fourth Industrial Revolution' might bring.